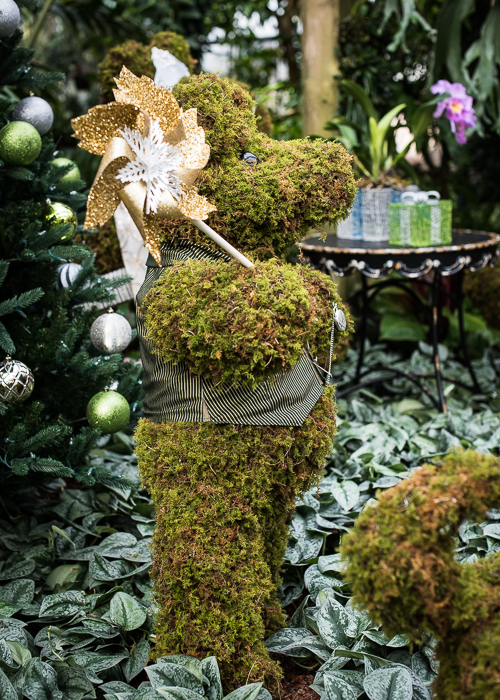 Ready for some holiday sparkle? Garden Lights Holiday Nights returns this year with a dazzling show. 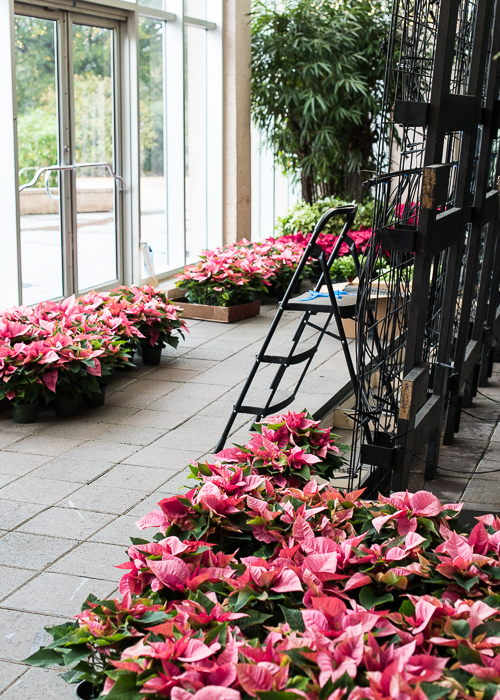 Here are some scenes from this year's holiday installation in our glasshouses. 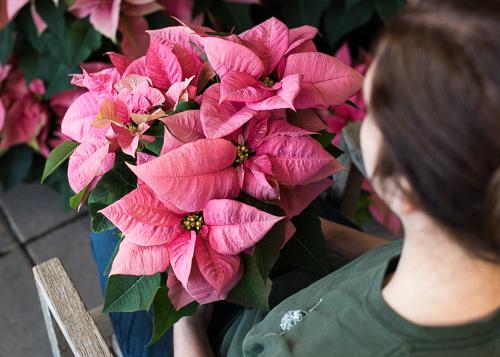 A tide of Jubilee Pink poinsettias (Euphorbia pulcherrimea 'Jubilee Pink') in the Conservatory Lobby ready for installation on the vertical wall. 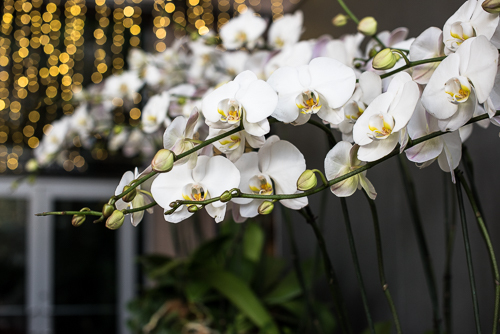 White Moth orchids (Phalaenopsis) against a sparkling backdrop of lights in the Conservatory Lobby. 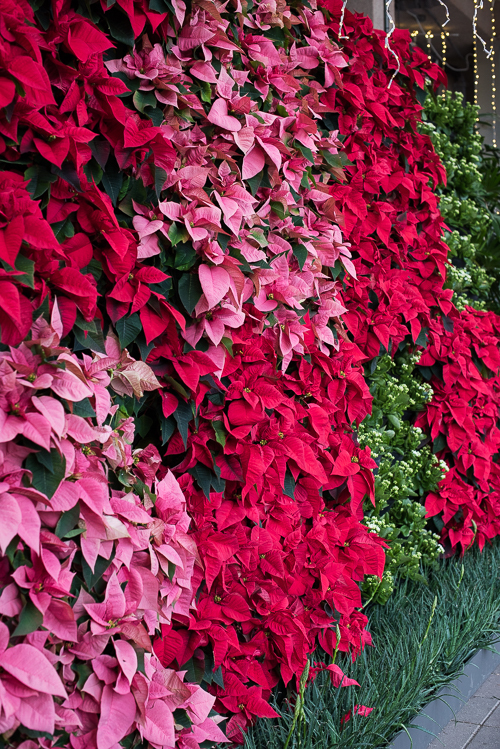 The vertical wall in the Conservatory Lobby has a checkerboard pattern of pink and red poinsettias and white Kalanchoe. 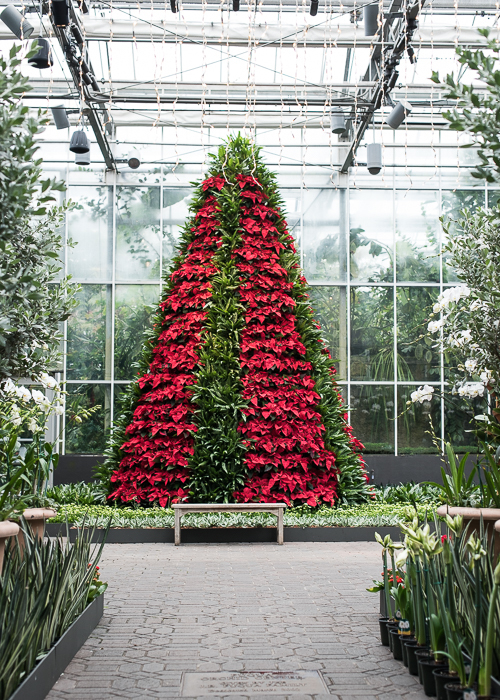 The Poinsettia Tree in the Orchid Atrium has vertical stripes of red poinsettia and Aglaonema. 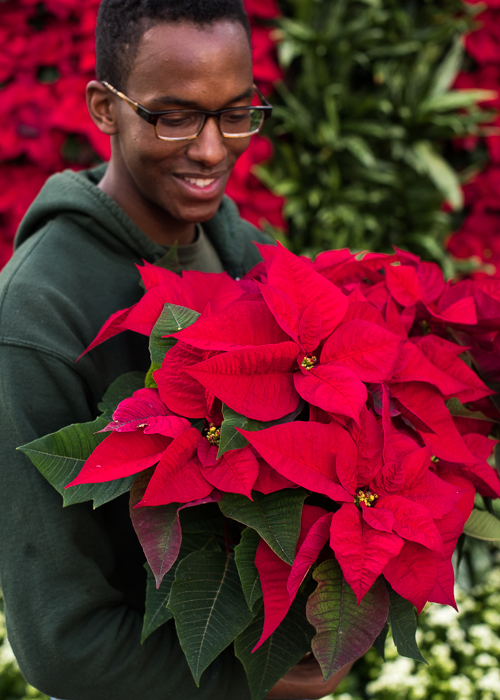 Jason carries one of the Freedom Red poinsettias (Euphorbia pulcherrima 'Freedom Red'). An icy blue combination of Silver Buttonwood (Conocarpus erectus var. 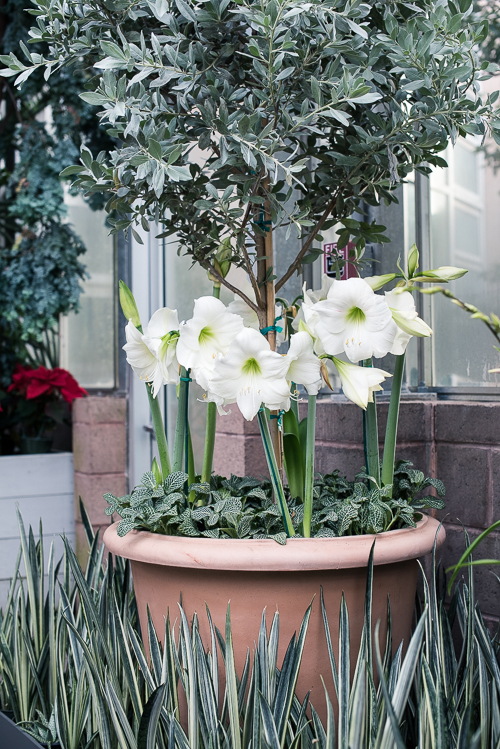 sericeus), White Amaryllis (Hippeastrum Wedding Dance'), Nerve Plant (Fittonia argyronuera) and Sansevieria 'Bantel Sensation'. 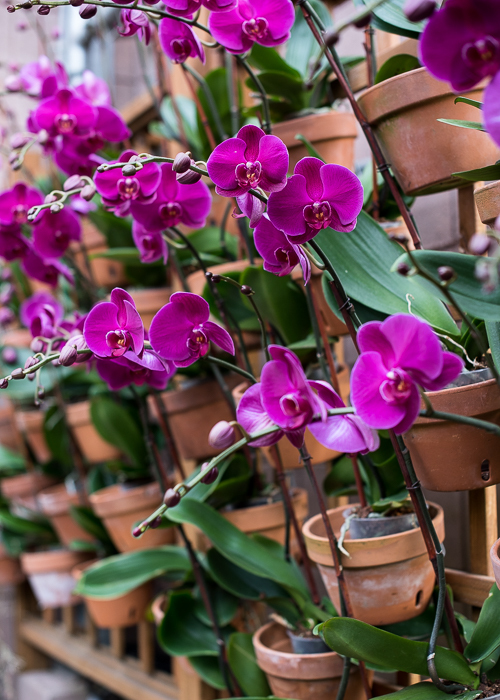 Our show was designed by Tres Fromme, ABG's Landscape and Design Manager. 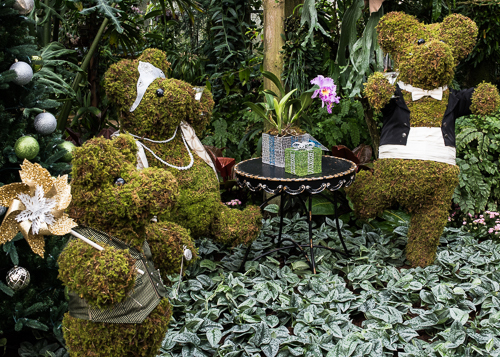 The Three Bears doing the Lindy in the Orchid Display House. 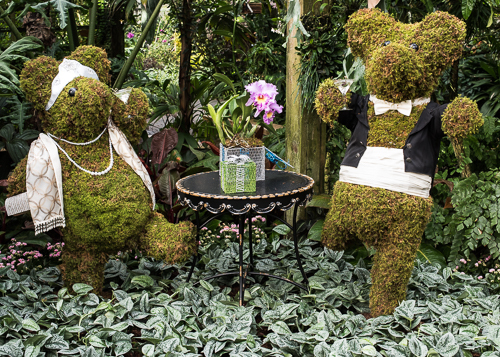 Their elegant Roaring '20's costumes were created by Kimberly McAllister. 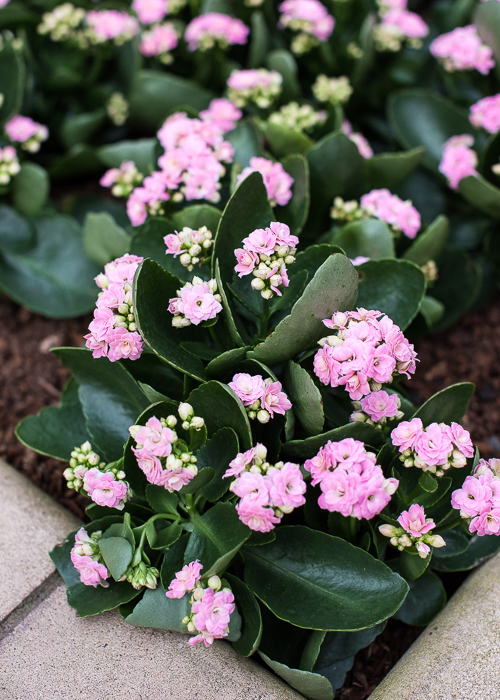 Double Pink Kalanchoe (Kalanchoe blossfeldiana 'Jodi') in the Orchid Display House. 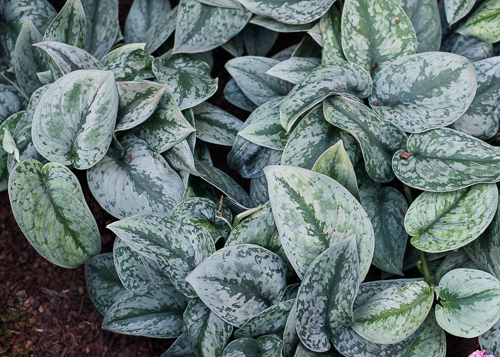 Satin Pothos (Scindapsus pictus 'Argyraeus') is the groundcover below the Three Bears. Long nights and dark days almost demand illumination and music. Bring your family! 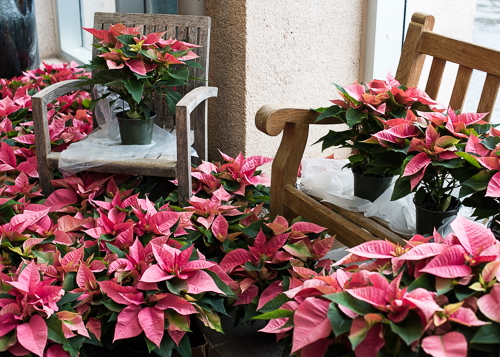 Garden Lights Holiday nights opens nightly at 5 pm through January 9.